One awesome perk of having your parents living downstairs? 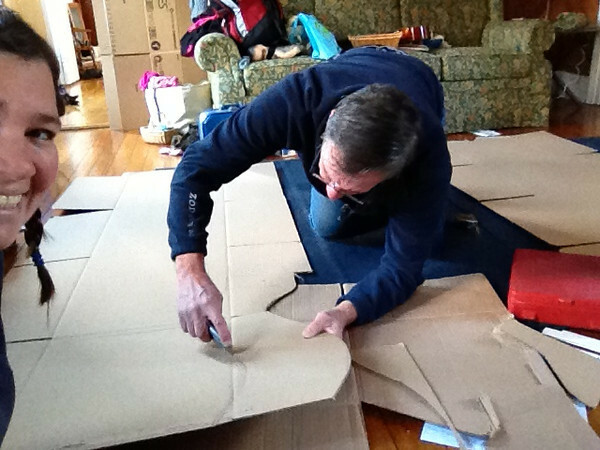 Reliving halloween creating fun from your childhood with your Dad and his mad cardboard cutting skills. Raise your hand if you remember my “Front Door” costume! This entry was posted in 365 on October 29, 2013 by Rebecca.